Cisco, Juniper or other hardware-based IPsec VPNs are expensive for set-up and management. They are also lack of usability and compatibility with Firewalls. 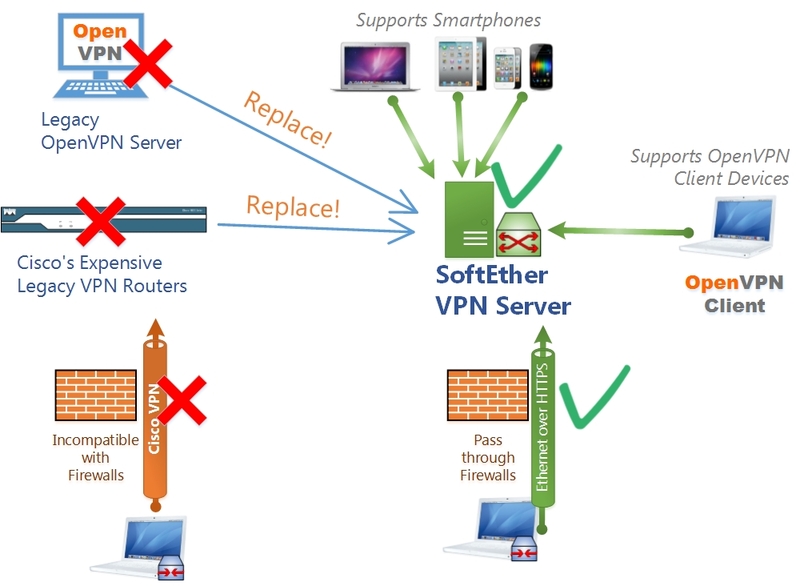 Replacement of them to SoftEther VPN is very easy because SoftEther VPN also has the L2TP/IPsec VPN function which is same to Cisco's.